I guess “good” is kind of softballing it, no? Good, great, incredible… you get the point. This all started, for me and my friends, with the movie Analyze This (one of both of those guys’ last funny, good films, if I may say so myself). Chazz Palminteri played the rival gangster to DeNiro’s Paul Vitti character. Palminteri’s character was named Primo Sidone (pronounced, somehow, like Son Done—like Cone). 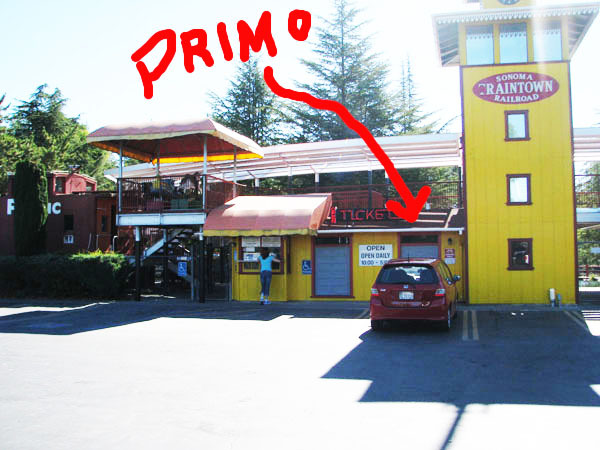 Naturally, you’ve heard the expression(s) about how a good parking spot can also be called a “prime” or “primo” spot… Well, even more naturally, we started calling those spots Primo Sidone spots. That doesn’t really have anything to do with anything, but the point is… a good spot isn’t always a really close spot. Of course, those are typically the best ones (especially when you pull up for one just as that spot is opening up) but the venue is key. Maybe it’s a football tailgate, so you want a spot where you’ve got a lot of room. How about a concert where you know that you’re going to want to get out of there quickly once the show is over? This is sort of pathetic, but there’s even something to be said for simply being able to pull into a spot where you have more than enough room on each side. The point of all this is, there’s more than just one good spot, but there’s few feelings better than finding one. Polar Opposite of this Feeling: Having to park in one of the last spots at work. You can blame your parents(father) for the pathetic quality of the concert parking place situation.